The IBM Cloud Cloud platform supports RTMP ingest and is designed to work with industry-leading third party encoders. Not all RTMP capable encoders will work with IBM Cloud Video, so it is strongly recommended to use one of the certified encoders listed below to have maximum quality and reliability for your stream on IBM Cloud Video. The NewTek TriCaster is the world's leading all-in-one, integrated live production system. Connect multiple cameras and audio and add graphics, video playback, titles and more. 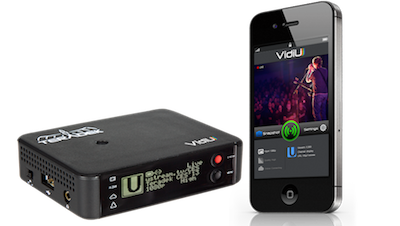 Multiple simultaneous outputs let you project, record, and stream. The Teradek VidiU is a portable HD h.264 / AAC encoder with HDMI input and capability to stream at resolutions up to 1080p. Broadcast over ethernet or WiFi, or connect an optional 4G USB adapter, use the internal battery and camera mount for truly portable streaming. Matrox Monarch™ H.264 encoders are simple-to-use streaming and recording appliances that can easily capture HDMI or SDI camera signals. 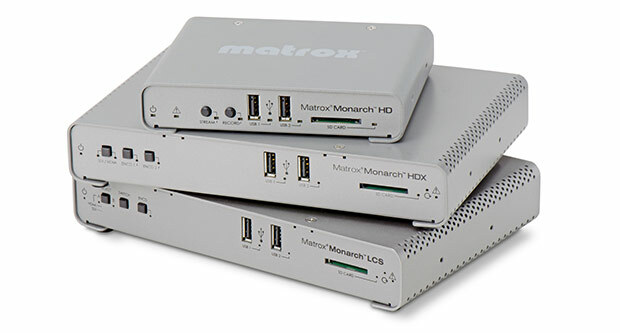 Equipped with up to two powerful encoding engines, the Monarch LCS, Monarch HDX, and Monarch HD appliance provide independently encoded streams, each at bitrates customizable to your unique needs. The Monarch HDX offers stream-embedded closed captioning, enabling IBM Cloud Video users to provide fully accessible video by simply adding the HDX to their existing production workflows. Elemental® Live is a video processing system that merges the benefits of massively parallel hardware with the flexibility and forward compatibility of intelligent software. Elemental Live executes simultaneous processing and encoding of multiple adaptive bit rate outputs, delivering the high-quality, high-efficiency performance required for streaming live video. A single Elemental Live system can perform the work of more than four CPU-only encoders. Harmonic is the industry's leading provider of encoding, stream processing and video networking solutions for superior-quality broadcast and multiscreen applications. Wowza software and services let you capture and stream live events directly from any encoder or IP camera. Share your live stream with your viewers or archive it for later viewing. Almost any RTMP encoder should work with IBM Cloud Video. Additional encoders and documentation are provided as is below, though.